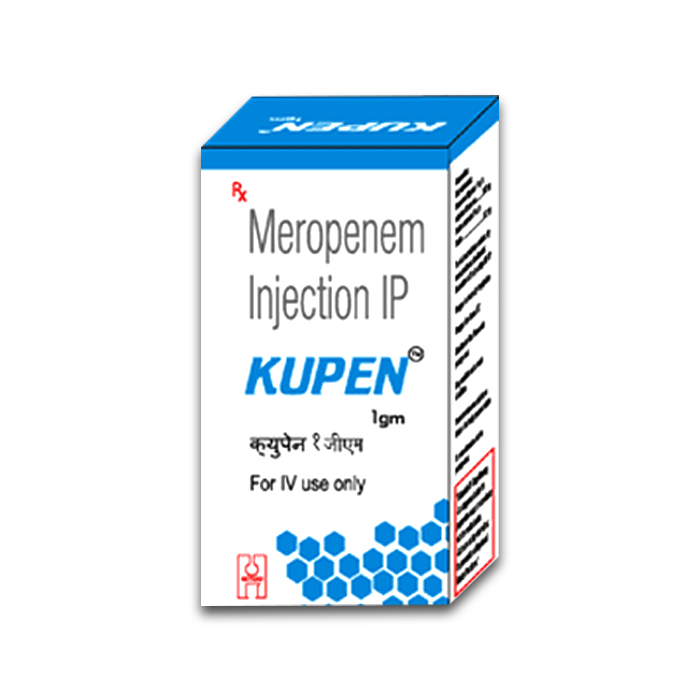 Kupen injection contains Meropenem. Meropenem is a carbapenem broad spectrum antibiotic. Kupen injection is available in two strengths 500 mg & 1 gm. Indicated for Septicaemia, Bacterial Meningitis & cSSTIs. Kupen 1000 mg Injection is used in severe bacterial infections. It is used in infections of various body parts like skin and soft tissues, urinary tract, blood, brain and lungs (pneumonia).